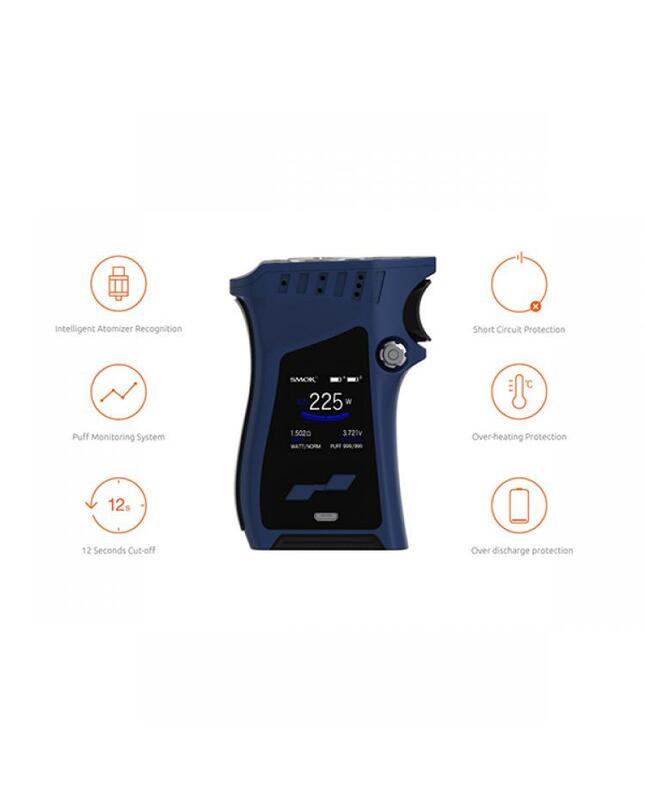 Newest smoktech mag 225w vape box mod, with ergonomic gun-handle design, nine fashionable switchable, vapers can hold it in a comfortable way, the mad mod adopts high-definition OLED screen, will show you the full vape data, such like working modes, vaping effect,working voltage, battery life, resistance value etc. 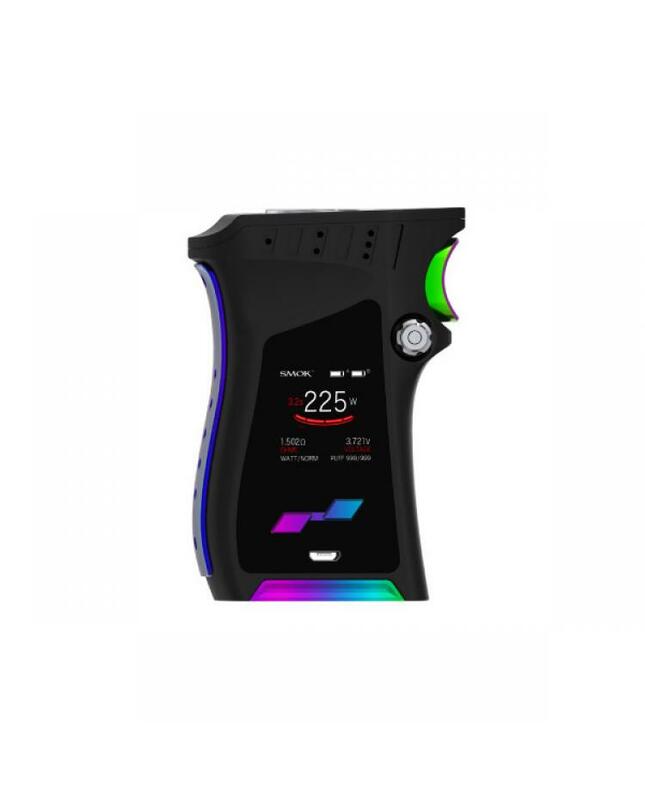 also the HD OLED screen has six colors screen setting, vapers can select different colors you like.the smok box mod powered by 2pcs 18650 batteries, max output 225watts, temp control, variable wattage and memory working modes switchable, using flower-shaped button for battery installation, lock, and load, can easily install or replace batteries. different from traditional big fire key, the mag adopts exquisite small fire key, like the trigger of a gun, you can press the triggering button easily. the mad mod adopts dual battery life indicator on the OLED screen will show you the accurate conditions of these batteries. firmware upgradeable via connecting it to the computer. recommend works with TFV12 prince tank, will bring you a better experience and produce a large cloud of vapor.